March 18, 2017 / Comments Off on Meet Emily! 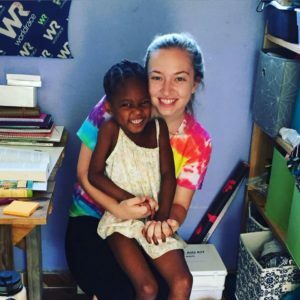 My name is Emily and I am going to be the Team Leader for this summer’s Next Step Ministries staff team heading down to Fond Blanc, Haiti for 11 weeks! I am SO excited about our staff as a whole and what the summer is going to bring. 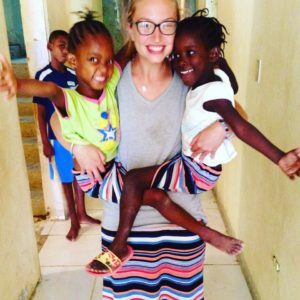 I first went to Haiti about four years ago for a week-long mission trip with Next Step, and immediately knew I needed to go back. After another week-long trip, I applied for a staff position and got to serve as the Vacation Bible School Coordinator in Fond Blanc last summer. I also was lucky enough to do an offseason trip in January where I was able to feel completely at peace with my decision to go back as the Team Leader. Fond Blanc has entirely changed the direction of my life. Well, God changed it, but through my experiences in Fond Blanc. I have developed such a heart for ministry and mission work through my experiences loving on these 57 amazing children and chasing after our Creator with them. I am now working towards a career doing medical mission work, full time! 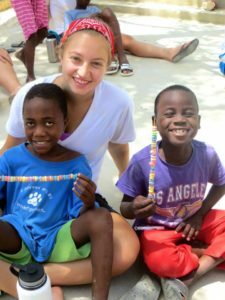 One of the biggest forces that was drawing me back to Haiti for a second summer was the way the kids loved me and the rest of the summer staff, and all the staff members before us, and constantly asked about Americans they knew- even people who hadn’t visited in four years. Their constant love for us and honestly, a bit of the confusion they have as to why so many people go for a summer, live with them, and don’t return, tugged at my heart and I knew I needed to go back to help show them that our relationships and love for them is continuous, genuine, and here to stay. That is one of my biggest goals as in terms of the community this summer- I want the kids to know how big of a support system they have through the Foundation and try to explain to them how many people are working “behind the scenes” for them every single day, even if they may not get visitors as often as they would like. I want them to understand that we, as a foundation, are invested in them, long-term. These children are the future of Haiti and I want them to follow their dreams, knowing that they have as much support as we can possibly give them. My biggest goal for the summer with the American’s, is to be as humble of a servant as I can and constantly be working to mirror the way Jesus lives and serves. I’m going to make a huge effort to lead by example and try to be a role model, with the rest of the staff, for the American students. Hopefully we can inspire the students to serve Fond Blanc and continue to strengthen their relationships with the kids, all to empower this beautiful community, together.